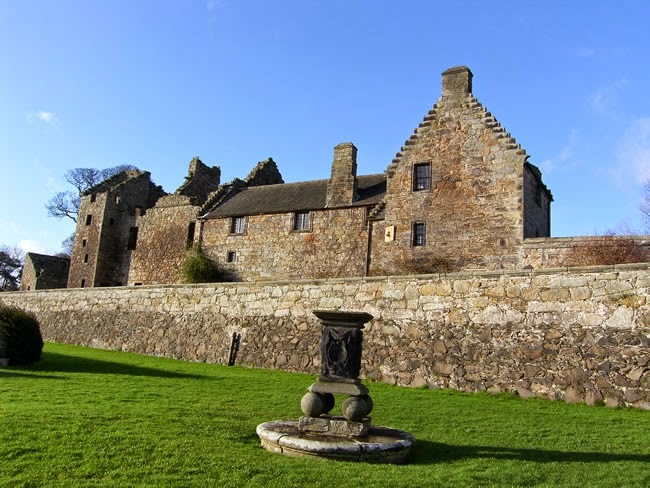 Aberdour Castle is one of the oldest castles in Scotland. Hidden within are the remains of a two-storey hall-house. Its masonry walls are very similar to those in the nearby parish church of St Fillan’s, dated to the mid 12th century. And the windows are identical to those in Inchcolm Abbey offshore, dated to around 1200.